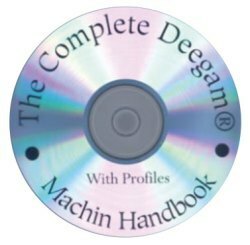 Since it was first published in 1993 the Deegam® Machin Handbook has become known as ‘The Machin Encyclopaedia’. It explains in depth every aspect of design, development and production of Machin and country pictorial definitives. It includes unique methods designed to enable unknown Machins to be identified. Thirteen chapters and sixteen appendixes culminate in a catalogue of Machin stamps. This is divided into three levels to suit beginners, intermediate collectors and specialists. Each level forms part of the unique numbering system which never changes no matter what new values or variations are issued. Every value has its own section, making it very easy to find the stamp you are looking for. A free professional writing up service is provided on the disc by more than 15,000 Deegam® Profiles. All the files are illustrated in colour and are printable. They are in Adobe Acrobat PDF (portable document file) format and can be viewed with Adobe Reader. The CD is absolutely loaded with navigable features, making it very easy to browse. Full details of how to get the best out of the CD are explained and illustrated in the Tutorial file on the disc. The CD is updated every 2-3 months with Deegam® Reports which are free to registered owners. Every CD is burned to order so yours is always up-to-date when you buy it. 2018 marked the 25th anniversary of The Complete Deegam® Machin Handbook and of the Deegam® Reports. To celebrate that Silver Jubilee, we compiled an archive CD containing all Reports from DGR1 to DGR125. We offered it as a free gift to all those who become new subscribers and to existing subscribers who updated their Handbook during the Jubilee year of 2018. The issue of the CD proved so popular that we have decided to continue to update it each year and to offer it to subscribers, new or old, for a modest cost of £10, post and packing paid to anywhere. The 2019 edition contains all Reports from No. 1 to No. 130, reproduced as they were issued. The CDs are obtainable from: Gerry Fisk, 4 Gorse Meadow Drive, Barnt Green, Birmingham B45 8XS, UK. Pay in GBP by PayPal sent to e-mail address: deegamad@gmail.com or by sterling cheque – made payable to G. T. Fisk. Payment may be made directly online – please see below. Fields marked with (*) are mandatory.